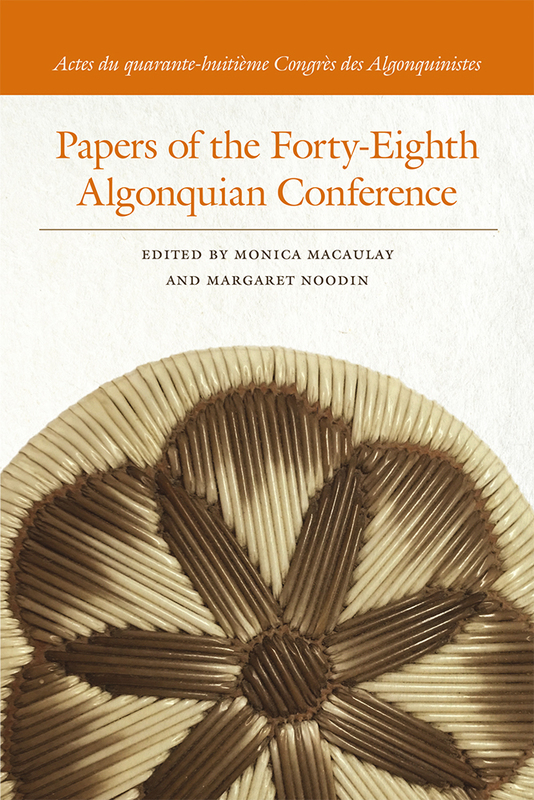 Papers of the Algonquian Conference is a collection of peer-reviewed scholarship from an annual international forum that focuses on topics related to the languages and cultures of Algonquian peoples. This series touches on a variety of subject areas, including anthropology, archaeology, education, ethnography, history, Indigenous studies, language studies, literature, music, political science, psychology, religion, and sociology. Contributors often cite never-before-published data in their research, giving the reader a fresh and unique insight into the Algonquian peoples and rendering these papers essential reading for those interested in studying Algonquian society. MONICA MACAULAY received her PhD in Linguistics from the University of California–Berkeley. She is a Professor of Linguistics at the University of Wisconsin–Madison and President of the Endangered Language Fund, a nonprofit organization that funds language revitalization and preservation projects around the world. She also works closely with the Menominee Indian Tribe of Wisconsin on language preservation and revitalization. MARGARET NOODIN received an MFA in Creative Writing and a PhD in English and Linguistics from the University of Minnesota. She is an Associate Professor at the University of Wisconsin–Milwaukee where she also serves as the Director of the Electa Quinney Institute and teaches Anishinaabemowin. She is also cocreator of www.ojibwe.net and has published a bilingual edition of poetry in Anishinaabemowin and English.